The status of the Merapi volcano is now at level II (February 2019). It is an Alert level. Not recommend for climbing activities except for the purposes of investigation and research related to disaster mitigation efforts. 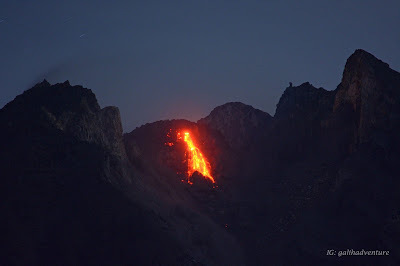 Merapi Volcano is a stratovolcano which is building lava dome on the summit. 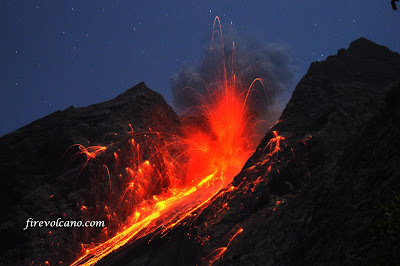 It is located approximately 40 on the north side of Yogyakarta. Merapi has more possibility of producing Pyroclastic flow than any other volcano on Earth. The Pyroclastic flow is resulted from the collapse of the lava dome at the summit. 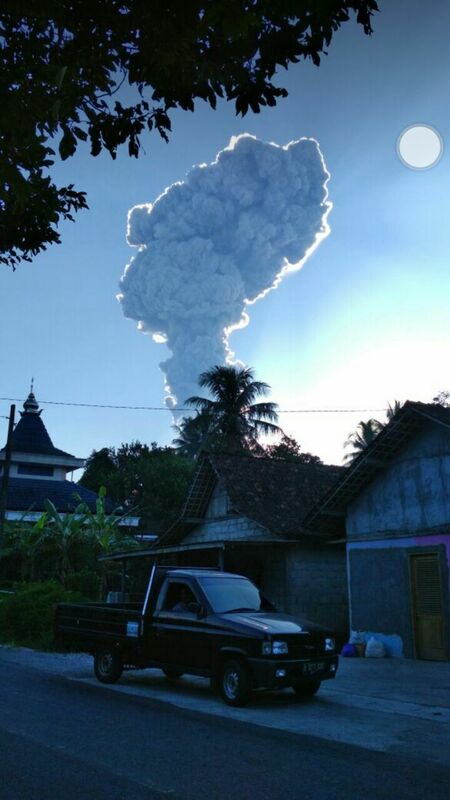 Merapi sudden eruption happened on Friday, May 11, 2018 at 07.30 am. 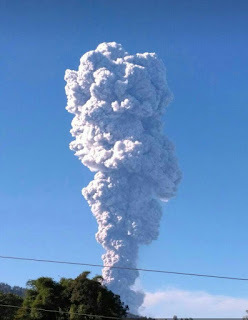 The eruption was accompanied by rumbling sound and mild earthquake that can be heard and felt from more than 30 km away from the crater. The eruption was the biggest eruption since the last big eruption on 2010. 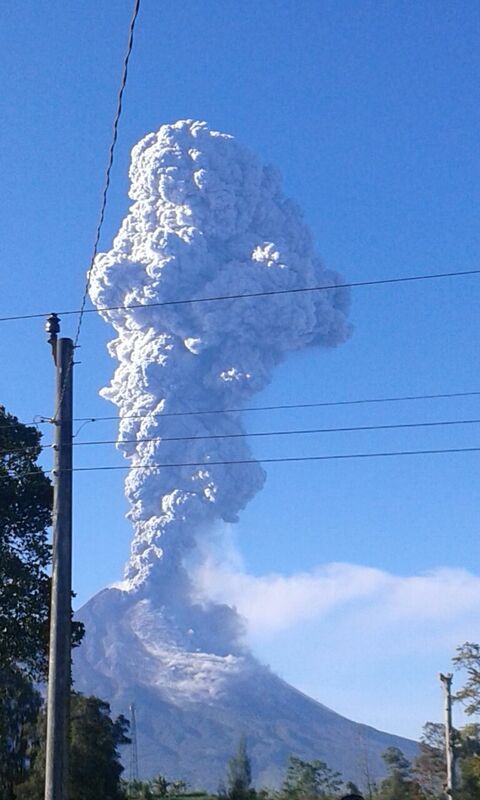 There were more than 120 climbers at the time it erupted, hope they all save! The photo and the video all belonged to the citizen who captured the eruption with their mobile phone! 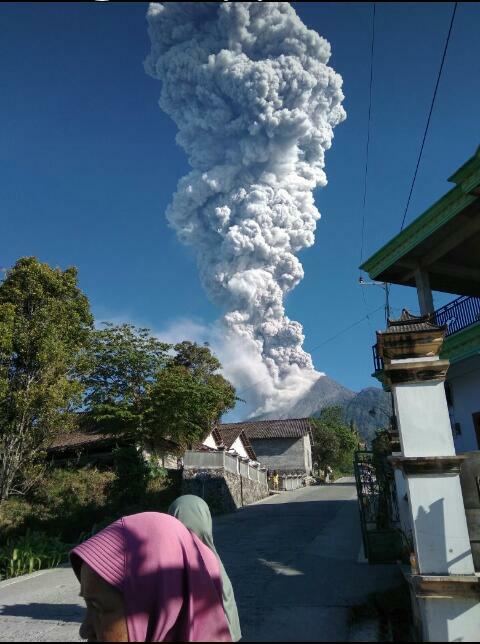 This volcano is called "Batutara". 'Batu' is stone and 'Tara' is fire. 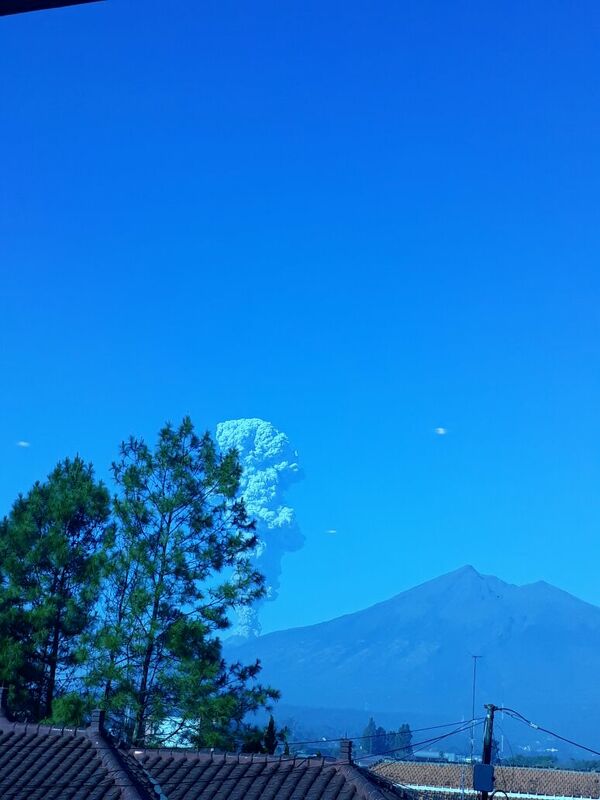 As you can see at the photo the volcano is throwing fire stones. It is located on the middle of Flores Sea, about 7 hours sail with a very noisy fishing Boat from Flores mainland. 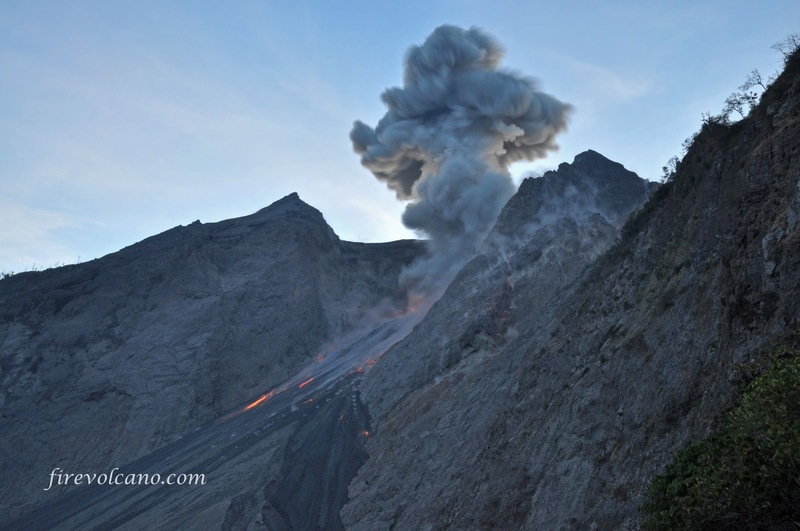 But, its really worth to be there, enjoying great eruptions that will come for almost every 30 minutes. Batutara Volcano is located on a small island called Pulau Komba. Estimate high of the volcano from the base sea floor is around 3000 meters. The crater is facing to the east, the wide is around 800 to 900 meters diameter. Vegetation covers the whole island, except the areas nearby the crater. The summit of the volcano reach around 800 meters from the sea level. Batutara volcanic activity is strombolian eruptions at intervals between 15-30 minutes. Big bolder of lava boms sometimes ejected far away reaching the ocean. There is no hotel at the island. The beach is not a nice sandy beach, but composed of rough big bolder of lava stone and coral reef. During the high tide, sometime we have to crawl up to some higher places. Landing to the beach is quiet danger for the boat and for the photographic gears, very good waterproof bag is surely recommended. Since 2016, the volcanic activity of Batutara was lowering. Until now, no strombolian activity was recorded. 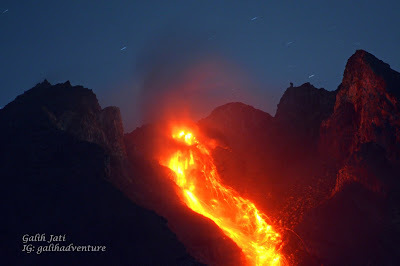 We will wait until it on again, and start the Volcano Tour to Batutara. Pick up service at Surabaya International Airport, Transfer to Tumpang, Malang, a small city close to the Bromo Tengger National Park. A nice dinner on the afternoon will be served in a small but nice private Homestay. After breakfast, the tour will begin by a Jeep ride through the national park of Bromo Tengger Semeru. We will stop several time to enjoy the beautiful National Park landscape. The jeep will take us to the hotel in Bromo area. After the lunch, we will have a moderate trekking to visit Bromo Crater and around. Get up early morning at 2.30 am, we have a jeep which will take us to the highest point of Tengger Caldera. I will take you to a special spot which is rarely visited by people. Here we will see one of the most beautiful Surise in Java. After the sunrise, jeep will take us down to the bottom of the caldera, visiting some nice spot at the bottom of the caldera. Back to the Hotel, breakfast, and continue driving to Ijen Caldera. 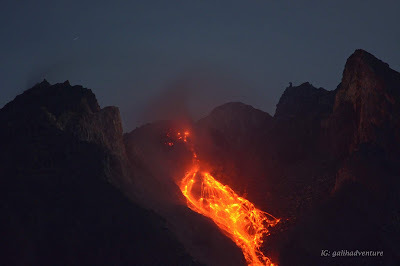 At Ijen we will stay at the nearest homestay nearby the starting point of the climbing. iI is just a small homestay with simple accommodation run by old coffee plantation company. We only stay at this place until at 01.00 am. Get up early morning at 01.00 am, check out, we will drive to the satrting point of Ijen Crater. The trekking will be around 1,5 hours. As we get to the crater rim you will see the Blue Fire, but to have more view of the blue fire we have to get closser, down to the bottom of the crater. After the sun rises, you will enjoy the beautiful Landscape of Ijen Crater. After breakfast, we will drive to Bali and you can rest at your hotel nearby the beach in Pemuteran, West North of Bali. End of Service. Morning pick up at Jakarta hotel or airport. Transfer to Carita Beach, leave from Jakarta max. at 10.00 AM, (Jakarta-Carita +/_ 5 hours). The car will stop for a brief visit to the Krakatoa Volcano Observatory post to examine the volcanic activity of Krakatau. If possible, we will also visit the remaining of the light house that was destroyed by Krakatau tsunami on 1883. After breakfast, we will sail to Krakatau with a speed boat (1,5 hours). 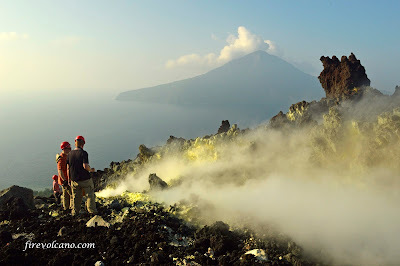 As we arrive at the Krakatau Island, we will land and explore the Volcano Island of Krakatau. On the afternoon, we will set up the camp at the Rakata Island while you enjoy the magnificent view of Krakatau. Our crews will prepare a special dinner for you. Morning coffee and a special breakfast on the seashore will be served after you enjoy the morning sunrise. After packing all the camping stuff, we will visit a beautiful coral reef spot on the west side of Rakata Island. Then, back to Carita Beach after lunch. Early morning transfer from Carita to Cipanas, Garut, West Java (+/_ 7 hours). 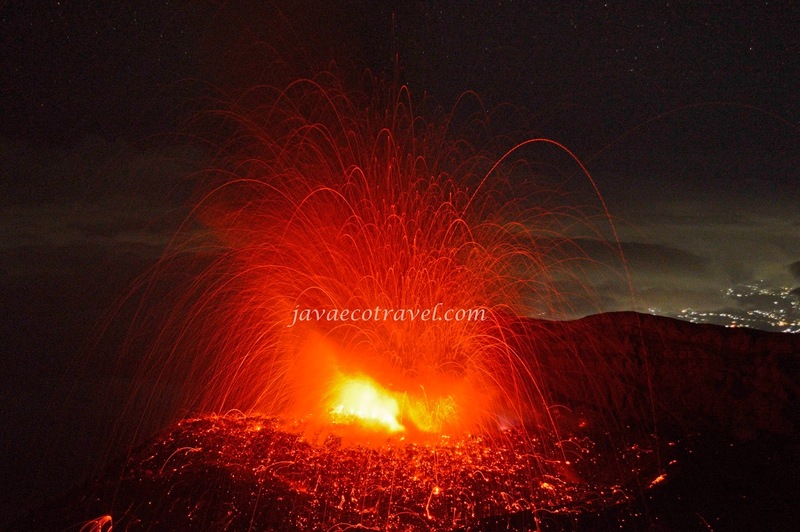 The hotels on Cipanas are located on the slope of an active volcano which produce natural hot spring. Here, you may enjoy your afternoon by swimming at the hotel swimming pool. On the afternoon, we will have a nice dinner at a Sundanese West Java restaurant. After breakfast, the tour continue to visit the great crater of Papandayan Volcano. 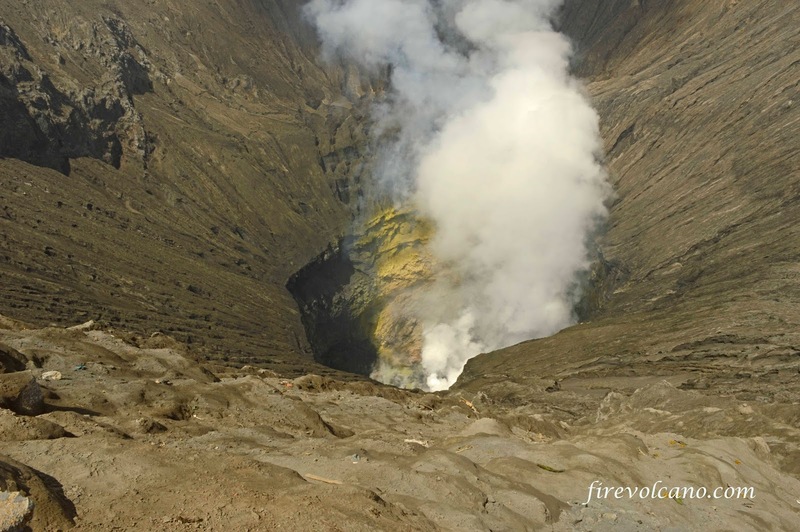 Here we will be entertained by many active fumaroles inside 1 kilometers caldera which produce hot gas and sulfur. After enjoying a simple lunch, we will visit and explore the Kamojang area. This area produces natural Geothermal Energy for the electric generator. Volcanic activity can be found all around the area, many active boiling mud craters. Back to Jakarta / Airport or Hotel, end of services.